Being an Educarer allows you to stay at home with your own children while still earning an income. Plus your children get enriched by socialising with other children. Enquire to see if you qualify. Our extensive toy library will cater for all the learning needs of children in your care. You will have the option to access Early Childhood training to maximise your ability to provide quality education and care for the children in your home. 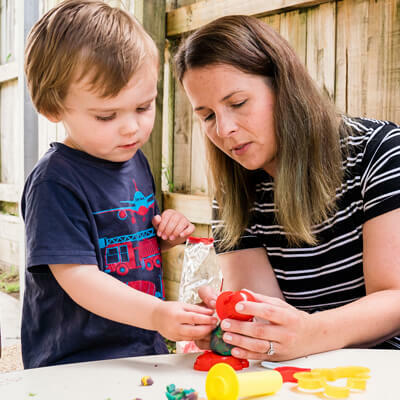 You will receive ongoing regular visits from a qualified, registered Early Childhood Teacher who will guide, support and assist you with your business as a home-based Educarer. Support is available to you at any time. You maintain a relationship with the parents or caregivers of the children in your home, so that your business, the parents/caregivers and the children’s needs are being met. You also receive rewards for sourcing your own children. Are you finding that going back to work isn’t easy? Have you considered looking after other people’s children in your home and want more information about it? As a JeMMa’s Educarer, you are essentially running your own business with our help and support. This means you tell us which days and hours you would like to care for children so it fits into your current day and you even get to decide your hourly rate. We provide you with all the resources needed to successfully care for and educate children in your home. 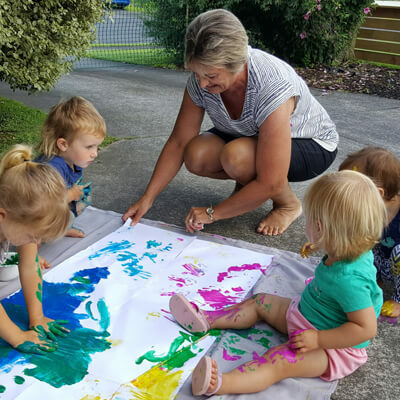 Would you like to be paid for providing your preschool grandchildren with a quality learning programme within your home? Grannies make the best Nannies as they often have years of wisdom and parent experience to draw on. It’s a great way to utilise your years of parenting experience. Being a Grandparent Educarer allows you to share your years of wisdom and make a difference in the lives of the future generation.